I sat down to write a blog about change, and the idea that for any solid change to become rooted within us, it takes about 3 months.... and then I thought about how important it was to be accurate with the information I'm giving out to readers. The 3 month statistic came to me from an Anger Management therapist (a course I took when I first learned I was pregnant and knew that I had deep-seated anger issues, stemming from witnessing abuse between my mother and father when I was younger, something I did not want to pass on to my child). I thought I'd just take a moment and find a link to back up that statement. It turns out, no such link can be found! The best I could do was this article, which does not support what I thought. 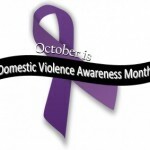 I wanted to talk about how much of an upset to our lives it is to escape from Domestic Violence. Whether we flee to a shelter, or a family member or friend's house. Whether we have children to bring or not. Whether we are married and seeking divorce, or have property and possessions to divide. Whether we simply choose to walk away from everything we owned, in order to quicker facilitate the divide. There are many factors, very personal and individual for each of us. But any way you experience it, we are making a change -- a big change. I know from my own experience that it is difficult to get that change to fit into my head! How do all the new routines look, from a different location, with different players involved -- and most of all, how do I re-write that ever-present inner script. The one my abuser filled my head with. That I am worthless, incapable; that I cannot make it without him. The notion that if he isn't there to support me, I will never be able to live a full life. That all my ideas need to be second-guessed by him and that I should be grateful he is there to keep me in line, or I just might do something I'll regret later. How do I move on from these ideas, clear them from my head and make a change? I have taken CBT (cognitive behavioural therapy) classes, been to numerous group counseling sessions, one on one therapists, taken self-esteem building workshops and journaling workshops, gone to self-care information sessions, started walking more. I have broken dishes, cried in the shower, screamed into a pillow, stopped walking more, eaten junk food, yelled at myself for eating junk food. I have gotten massages and reiki and done yoga and meditation, taken long soapy baths, written in my journal, written in the sand, written in the snow. I have screamed into that pillow some more and cried in the shower some more. If it took just 66 days for that change to take place, I didn't notice it happening! But what I did notice, I will share with you now -- it gets easier. I didn't believe that from day one, or day two or day twenty. But it has been months and years now. And it does get easier. For all I've tried, the number one thing that I found worked best for me was finding real, warm, smiling faces of fellow survivors. People who I could share my story with and listen to theirs. People who understood exactly what I meant when I said "I've worked so hard to get where I am today." And this, this is the reason why I volunteer for 1 in Four. This is why I come in to work and write blogs and design the webpage and network with agencies. This is why we are here: to be a group of survivors for survivors. I want to share with you the feeling of not being alone. The idea that even though we all have had a unique journey -- some are still at the very beginning -- we are joined together as a global sisterhood. Drop an email, sign up for the Forum, even just leave a comment on the blog. Reach out and let your voice be heard. I envision a world where one day all DV survivors are empowered to speak their stories, call them from the mountaintops, so that one day, one day, I wont have to fear about my daughter and other girls growing up in a world where DV is silenced, where survivors wear the shame of victimhood and abusers walk away untouched. Change is possible. End the silence -- say NO MORE! to violence. Free Hugs -- inquire within! 34y/o single mother of one. A survivor of Domestic Violence; an advocate for change to the current Canadian legal system -- stronger sentencing for perpetrators of DV crimes. I believe in advocacy as a means to change. I believe in using your voice to make a difference. I believe in standing up for what is right and standing up for those who can't. I believe in educating young girls and boys of the future generations that there is always a choice and that violence is not the right choice. "Be the change you wish to see in the world" -- Gandhi.